You will find below the horoscope of Noëlla Hego with her interactive chart, an excerpt of her astrological portrait and her planetary dominants. Horoscopes having the same aspect Moon conjunction Midheaven (orb 0°55'): José Bové, Demi Lovato, Ashton Kutcher, Sylvester Stallone, Ylenia Carrisi, Laetitia Casta, Keith Richards, David Lynch, Brooke Shields, Christina Hendricks, Helen Mirren, Philip Seymour Hoffman... Find all the celebrities having this aspect. Horoscopes having the same aspect Mars square Pluto (orb 1°07'): Scarlett Johansson, Drake (entertainer), Nicki Minaj, Oprah Winfrey, Coluche, Bruce Lee, Penélope Cruz, Muhammad Ali, Antonio Banderas, Lorde, Jean-Pierre Danel, Roman Polanski... Find all the celebrities having this aspect. Celebrities born the same day: Brian Molko, Raven-Symoné, Marion Maréchal-Le Pen, Emily Dickinson, Thailand, Meg White, Kenneth Branagh, Michael Clarke Duncan, Teyana Taylor, Prem Rawat, Emmanuelle Chriqui, Nia Peeples... List of all the celebrities born on December 10. Celebrities clicked on in real-time: 576,405,861 times. Here are some character traits from Noëlla Hego's birth chart. This description is far from being comprehensive but it can shed light on his/her personality, which is still interesting for professional astrologers or astrology lovers. 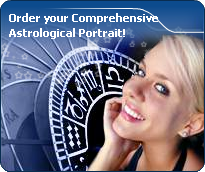 In a matter of minutes, you can get at your email address your astrological portrait (approximately 32 pages), a much more comprehensive report than this portrait of Noëlla Hego. Noëlla Hego, the nocturnal North-western quadrant, consisting of the 4th, 5th and 6th houses, prevails in your chart: this sector favours creativity, conception and some sort of specialization or training, with helpfulness and relations as strong components. You need others' cooperation in order to work properly, although you are not very expansive: creating, innovating and thinking are what matter most to you because this self-expression enriches you and totally satisfies you. Noëlla Hego, Fire is dominant in your natal chart and endows you with intuition, energy, courage, self-confidence, and enthusiasm! You are inclined to be passionate, you assert your willpower, you move forward, and come hell or high water, you achieve your dreams and your goals. The relative weakness of this element is the difficulty to step back or a kind of boldness that may prompt you to do foolish things. Like the majority of Earth signs, Noëlla Hego, you are efficient, concrete and not too emotional. What matters to you is what you see: you judge the tree by its fruits. Your ideas keep changing, words disappear, but actions and their consequences are visible and remain. Express your sensitivity, even if it means revealing your vulnerability. Emotions, energy and communication must not be neglected; concrete action is meaningless if it is not justified by your heart, your intellect or your enthusiasm. Your angular houses, namely, the 1st, 4th, 7th and 10th houses, are very emphasized in your chart, Noëlla Hego: according to the Tradition, they are the strongest and most dynamic houses. Should the rest of your chart concur, angular houses suggest that you are an enterprising, energetic and assertive woman. Indeed, angular houses are said to generate impulsions and to give a powerful and domineering personality. After this paragraph about dominant planets, of Noëlla Hego, here are the character traits that you must read more carefully than the previous texts since they are very specific: the texts about dominant planets only give background information about the personality and remain quite general: they emphasize or, on the contrary, mitigate different particularities or facets of a personality. A human being is a complex whole and only bodies of texts can attempt to successfully figure out all the finer points. You are the very type of the researcher endowed with great intellectual and imaginative capacities, Noëlla Hego, and your curiosity is very deep. Researches, riddles and mysteries appeal to you and with a remarkable sixth sense and intuition, you endlessly try to unearth the truth, in all areas, like a psychoanalyst or a detective. You are a very secretive and introverted person, you find it difficult to open up and you rather prefer psychoanalysis. In spite of your clear-sightedness, you find it hard to deal with people: your critical mind, tinted with irony and causticity, may be destructive, especially since your determination and your stubbornness do not incline you to giving up. You are fond of provocations and you handle contradictions skilfully even though you may come across as dishonest. You cannot dissociate love from passion, Noëlla Hego. Your feelings are immediate, imperious, intense, and it is absolutely impossible for you to think of an amorous relationship without fusion, without the irresistible desire to know everything about your partner: emotions, feelings, sexuality, everything must be experienced in a possessive, absolute and unrestricted way. Actually, your feelings are as complex as they are deep. You seldom love, but when you do, a burning ardour and its torrid, violent frolics consume your couple. It is obvious that such powerful feelings may lead to jealousy and absolute exclusivity, almost bordering on the will to control your partner. If your relationship is genuine, all is fine. But if it is not the case, there are real dangers of shared wounds within your couple; it is hard to reconcile passion with tranquillity and it is clear that for you, sentimental serenity involves a partner who is either as complex as you and who instinctively understands you, or who is complementary, and as calm and steady as your impulses are intense and deep. Noëlla Hego, you are a real Goliath and you often excel in sport; your thirst for conquests prompts you to constantly launch new challenges. The enthusiasm you put in your undertakings is perfectly well supported by your moral concepts and an idealism compatible with the values of the society you live in. You are pragmatic, enterprising and sometimes, naive. You do not pay attention to details and you launch various great adventurous projects that are all doomed to success. In a few rare cases, you can funnel your huge energy into more philosophical, even spiritual or religious enterprises, where your entire fieriness works wonders. On the sexual plane, your ardour and your spontaneity are your main assets. The danger is that you may spread yourself too thin in the sense that you may forget about faithfulness, particularly during the extensive faraway travels you are so fond of. This text is only an excerpt from of Noëlla Hego's portrait. We hope that it will arouse your curiosity, and that it will prompt you to deepen your knowledge of astrology, as well as to visit and use the wide range of free applications at www.astrotheme.com. Your Life Path is influenced by the number 1, Noëlla, which often prompts you to have an active and sometimes original life. 1 is the number of creativity and indicates individual destinies which are achieved at the cost of personal efforts because, although the path may lead very far, it climbs steeply upwards. You need to learn to manage your life with a strong willpower while using your own resources. It is most likely that you reach the best of your possibilities if you choose a free-lance occupation, or anything which allows a lot of personal initiatives. You really need freedom of action. You prefer to innovate rather than to follow the trend, and to create rather than limiting your activities to repetitive tasks. Thus, your life may be theatre of spectacular twists and turns, all the more so because the more you progress, the more your indecisiveness fades away. In such conditions, it is necessary that you strive to maintain a minimal degree of stability in the course of your life.